5.9 / 10 by 3070 users Rate Now! 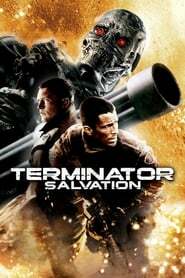 : All grown up in post-apocalyptic 2018, John Connor must lead the resistance of humans against the increasingly dominating militaristic robots. But when Marcus Wright appears, his existence confuses the mission as Connor tries to determine whether Wright has come from the future or the past -- and whether he's friend or foe.